Some spaces in Honors Housing are designated and awarded through different processes. 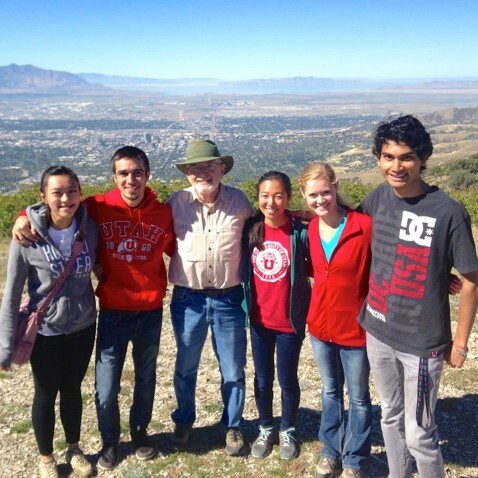 The Eccles Scholars LLC students are selected via a separate application process. That application is open to incoming accepted first-year honors students. The application opens in February. Students applying to the Eccles Scholars program should pursue University and Honors housing in the interim as they see fit. This community requires admittance through a separate application. Students accepted into this program participate in a selective cohort experience during their time as undergraduate Honors students. Eccles Distinguished Scholars begin by taking a yearlong class: Engaging A Great University, taught by emeritus faculty member Jack Newell, Ph.D.